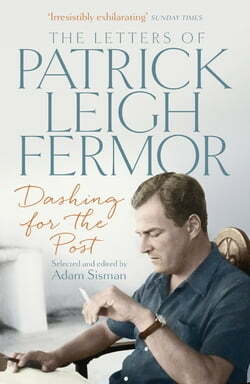 Patrick Leigh Fermor was hailed as the greatest travel writer of his generation. His letters are often entertaining and sometimes instructive. They exhibit many of his most endearing characteristics: his zest for life, his unending curiosity, his keen sense of place, his lyrical descriptive powers,... read more his love of words, his fluency in a remarkable range of languages, his lack of self-importance, his boyish exuberance, and his sense of fun. They draw on his wide reading, and his unflagging enthusiasm for learning. Paddy was an indefatigable correspondent, who devoted a significant proportion of his time and energy in writing to his friends and family, including John Betjeman, Xan Fielding and his wife, Joan. Since he lived abroad for much of his life, letters were for him a means of keeping in contact; but they were also a method of recording and processing experiences which might later recur in his books. With exclusive material taken from the National Library of Scotland, as well as letters drawn from private collections in the UK and abroad, Dashing for the Post creates a remarkable portrait of an extraordinary man.